It’s the time for football fever, your favorite schedule indian super league will kick start on 17 November 2017. This edition of isl having 10 football teams and there are 95 matches including semifinals and finals. 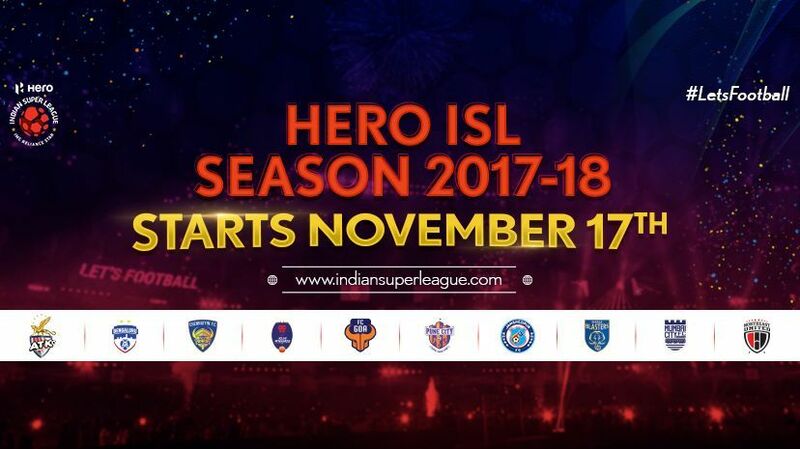 you can check the complete schedule of isl season 2017 from here. ATK, Bengaluru, Chennaiyin, Delhi Dynamos, Goa, Jamshedpur, Kerala Blasters, Mumbai City, NorthEast United, Pune City are the teams playing in 2017 isl. Once again star network holding the broadcast rights of isl. Asianet movies will air all the matches with malayalam commentary. Hotstar app, Jio TV are the official online streaming partners of isl 2017.